EMI’s prototype core machines, the PCB series, provide manually assisted core centers designed to produce prototype cores in wood or polyurethane box construction. PCB series machines accommodate horizontally or vertically-parted existing tooling, while utilizing a low-pressure blow head to increase core box life. Throughout the machine cycle, the tooling is manually transferred on a tooling cart from the blow station to the gas station to the strip station. 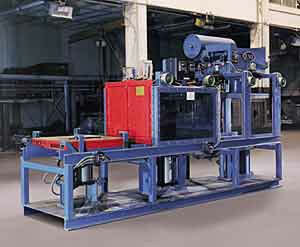 These all-pneumatic systems can be engineered to blow core capacities of 30 to 200 pounds.